To summarize information obtained from original research about barriers to access of primary healthcare by Canadian immigrants’ and to identify research gaps. Electronic databases of primary research articles and grey literature were searched without restricting the time period. The preferred reporting items for systematic reviews and meta-analyses statement was followed for literature selection. 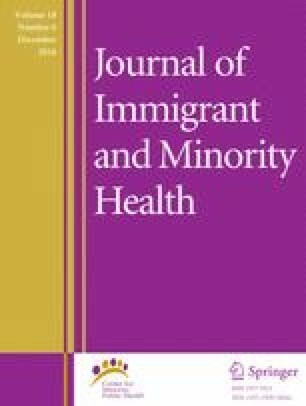 Articles were selected based on three criteria: (a) the study population was Canadian legal immigrant(s), (b) the research was about the barriers to accessing primary healthcare in Canada, and (c) the article was written in English. Relevant information from the articles was extracted into tabular format and classified for thematic analysis. Identified barriers were grouped into five themes: cultural, communication, socio-economic status, healthcare system structure and immigrant knowledge. The barriers to accessing primary healthcare in each of these categories can provide insight and subsequent direction for changes needed to improve immigrant care and mitigate their deterioration in health status. The demographic and ethno-cultural distributions of the study populations across the provinces highlight the need to expand research to encompass more varied immigrant groups across more regions of Canada, including more research on male immigrants and immigrant seniors, and to increase research related to health care providers’ perspectives on the barriers. C. Citizenship and Immigration Canada. Annual report to parliament on immigration. 2003. http://www.cic.gc.ca/english/resources/publications/annual-report-2013/index.asp. C. Citizenship and Immigration Canada. Facts and figures 2013: immigration overview: permanent residents. 2013. http://www.cic.gc.ca/english/resources/statistics/facts2013/index.asp.